Currently, there are more rules, regulations, and laws dealing with sexual discrimination, and particularly sexual harassment, than any other substantive area of employment. Litigation shows no sign of abating but is, in fact, still increasing. Sexual harassment is a subject of prominent concern for management and staff and much discussion and debate from the lunchroom to the Supreme Court. It was estimated in 1998 that sexual harassment claims alone were costing each Fortune 500 company $6.7 million per year, with costs for smaller companies being proportionately burdensome. Clearly, this is an area in which prevention is of great value both for the improvement of morale and workplace atmosphere and in the avoidance of lawsuits. According to an article in Negotiation Journal (1990, 6(2), p. 164-165), research has demonstrated that complainants in sexual and other forms of harassment most simply want the behavior to stop. Their goal is not to punish, litigate, or force the offender out of their job. What options does a complainant have to stop unwanted behavior? Certainly, the most direct and perhaps first choice is to speak directly to the other person in order to get the behavior to stop. But many times this is not an option for one reason or another. Harassment is often a matter of miscommunication, misunderstanding, or different styles or cultural expectations. Even when it is intentional, with proper communication it can most often stop satisfactorily. Everyone in the organization understands what mediation is, how it works, and how it relates to the other dispute resolution options. 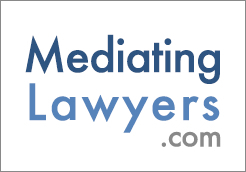 The parties involved fully understand that mediation is entirely voluntary and confidential. These two conditions can be established through a combination of written materials (Employee Handbook, corporate policy manual, educational materials) and training. The training does not have to be extensive or time consuming to be sufficient to develop an understanding of mediation and how it fits into the larger dispute management system. All employees should understand that mediation is available to them, what the potential benefits are, and that they are completely free to make the choice that feels most suitable to them. Management’s responsibility is to provide the information upon which an employee can make a good decision. Additional information, provided to all employees, on organizational standards of behavior and expectations regarding sexual issues will have a preventative influence. Mediation, when it is a part of a comprehensive conflict management system, can satisfy the organization’s responsibility to respond quickly and fully to any complaint about sexual harassment. Mediation provides the complainant a safe and confidential context within which to get the behavior to stop and the offender a safe and confidential context within which to correct offensive behavior. Both parties have the opportunity to create agreements about the nature of their working relationship into the future. By keeping the situation private and confidential, the parties and their co-workers do not have to deal with the embarrassment, distraction, and repercussions of a formal investigation. If the parties are unsuccessful in reaching a mutually satisfactory resolution in mediation, their other options remain available. Including mediation as an available option for dealing with sexual harassment complaints can serve the interests of everyone involved and make for a better workplace.